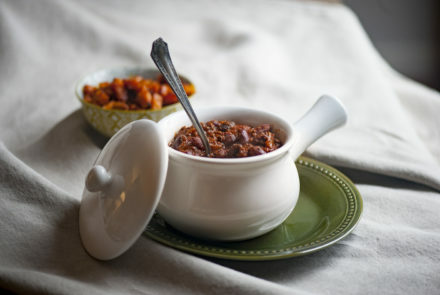 This fun twist on traditional chili contains cocoa powder, which helps to round out the flavors and adds a unique depth. 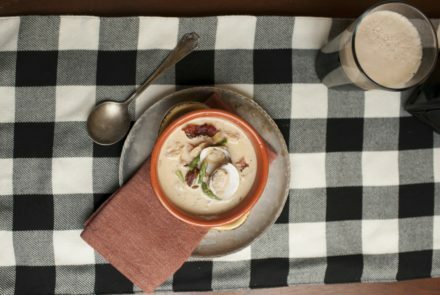 This version is a fresh spin on the classic Jersey Shore chowder, a white version with clams and tender-crisp asparagus. 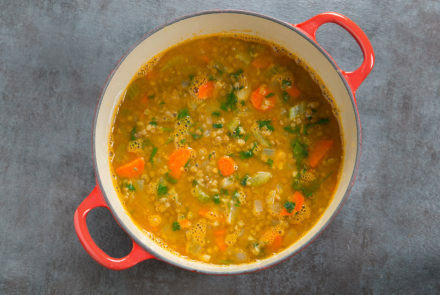 This simple lentil soup makes for a perfect hearty meal on a busy night. 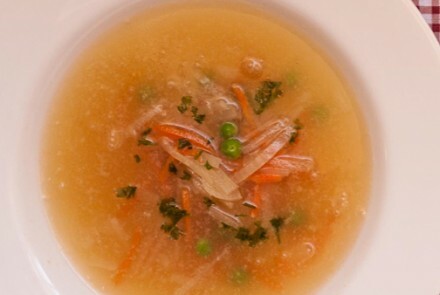 Serve with gluten-free bread or spoon over steamed rice. 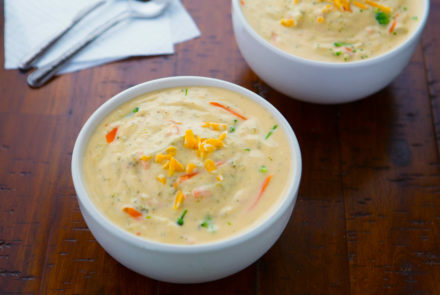 For a soup that tastes just like restaurant-style broccoli cheddar soup, use Velveeta in this Cheesy Broccoli Soup recipe. 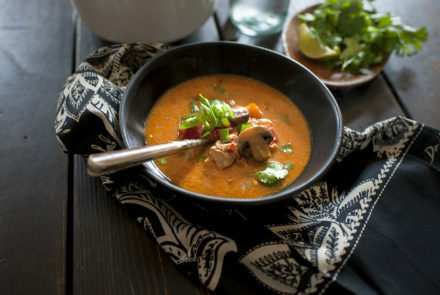 This creamy chicken soup is slightly spicy and slightly sweet, dairy free and full of nutrients to make an all-in-one meal perfect for lunch or dinner. It can be made up to three days ahead and chilled, warming just before serving. 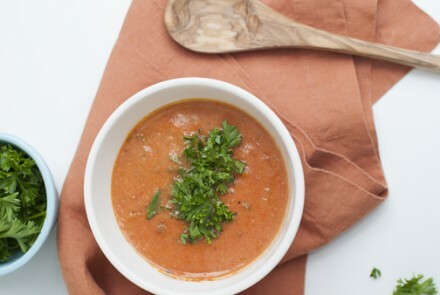 Curry adds a burst of flavor to this hearty soup. If you don’t care for the flavor of curry, omit it and add ½ teaspoon each ground cinnamon and paprika. 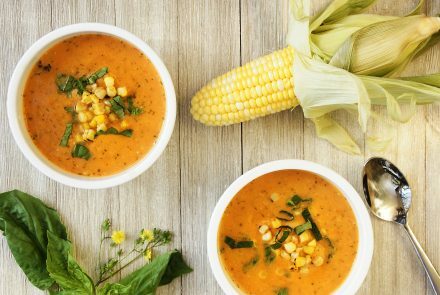 This chowder is truly a taste of summer—it’s fresh, light and delivers the perfect amount of heat, just like the ideal summer’s day. 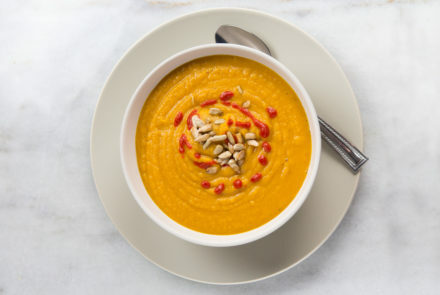 This fresh-tasting, elegant-looking soup takes the edge off after a long day and is low calorie, which is an added benefit. 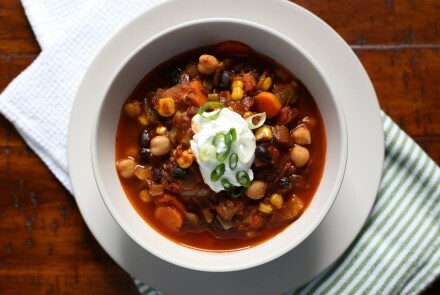 This chili is a new take on an old favorite. Made with garbanzo and black beans, it delivers stick-to-your-ribs satisfaction without any meat or dairy.